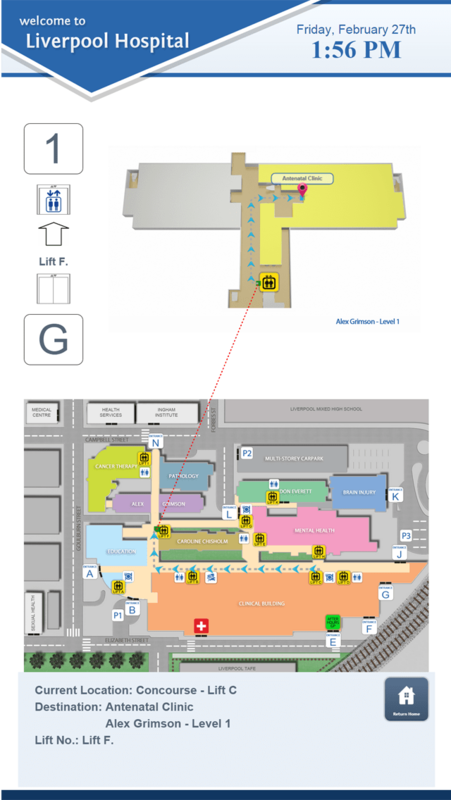 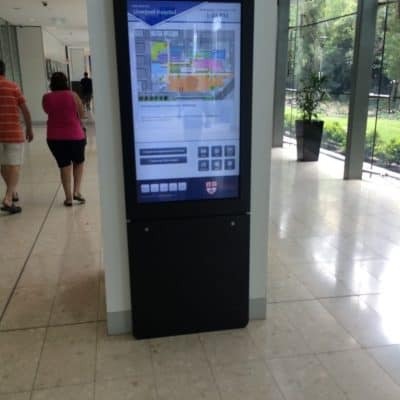 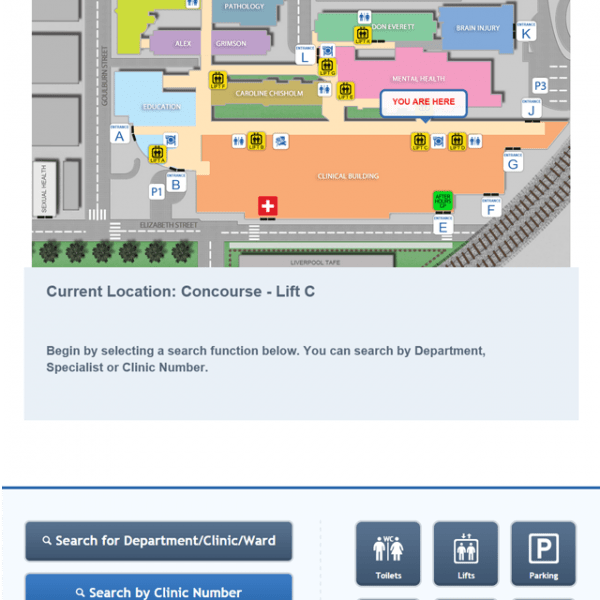 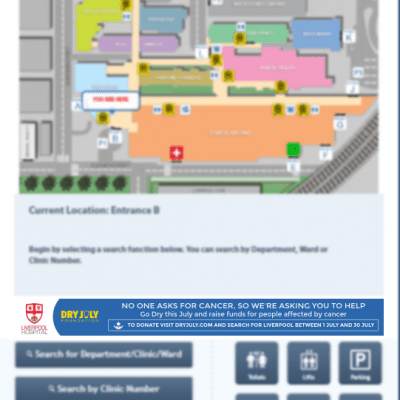 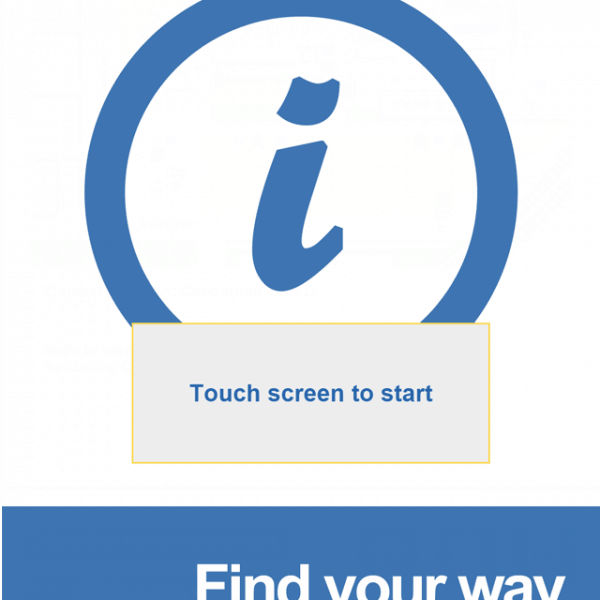 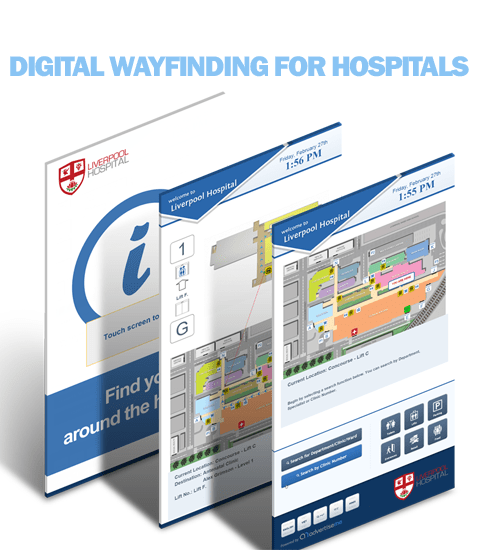 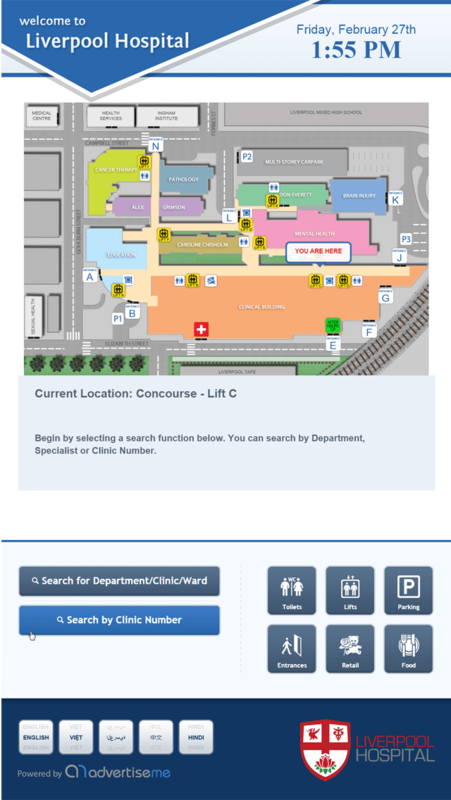 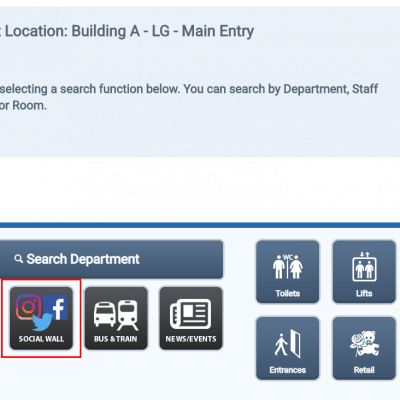 A custom designed Digital Wayfinding software solution for Hospitals. 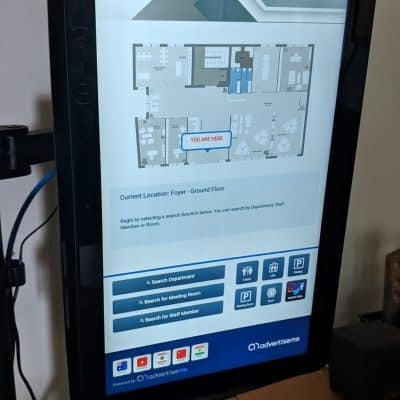 Software was built using the latest web technologies and uses a similar framework which is used by Navigational Based GPS Systems, Google Maps, etc. 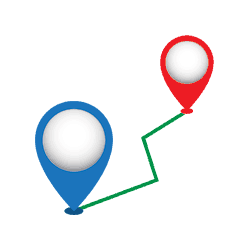 The routing is based on dictated walkable paths and uses an algorithm based on shortest distance from current location to destination point. 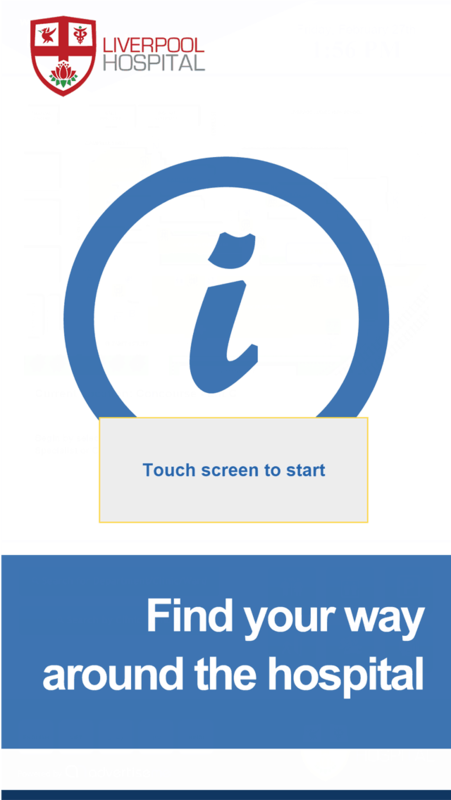 If a path is no longer accessible our software will automatically reroute with only a few clicks. 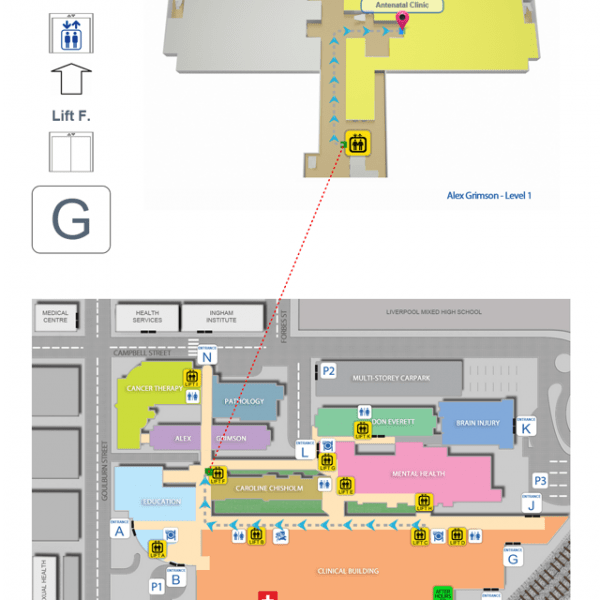 Routing inside buildings as well as between buildings or we can route within any given space.